Hey everyone! It's time for another contest giveaway here on NextGen Player. 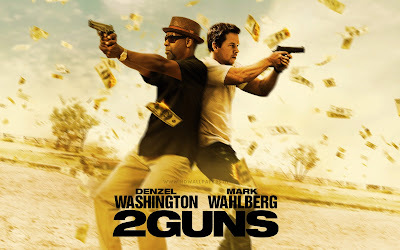 I've been lucky enough to receive double pass movie tickets to see an advance screening of 2 Guns, courtesy of eOne Films. The tickets are for Ottawa, Toronto, Halifax, Calgary & Edmonton on July 29th. To have a chance to win tickets simply "Like" our Facebook page and check our wall for promo codes and instructions. Tickets will be posted today and tomorrow - 2 chances to win! First come, first serve! Act fast if you want tickets!